Congratulations to Unknown who correctly identified Paul Morphy in last week's Person-of-Mystery contest. That makes to anonymous winners in a row now. I'm starting to think there's a mystery behind the Person-of-Mystery contest! I picked Morphy last week because it was just announced that Boy Scouts of America will be adding a new merit badge – chess. 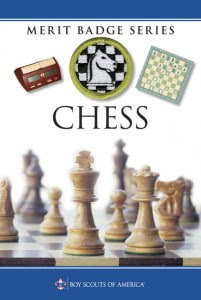 At first I didn't know how I felt about adding a Chess Merit Badge. It just didn't seem to fit with the overall Boy Scout image, but Scouting is all about building the body, spirit, and mind, so who knows. As I was mulling this over, I started thinking about chess and the cultural significance behind the game of chess. Today, chess is largely viewed as a highbrow brainy pursuit for nerds and aspiring intellectuals. However, this wasn't always the case. 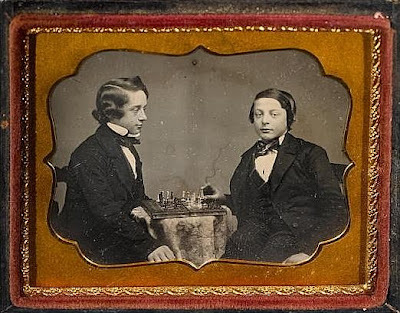 Back in the 1800s, chess was also considered a game for the intellectual, but unworthy of as a professional pursuit. 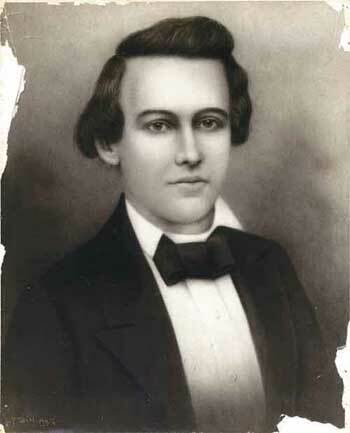 Born in New Orleans, Morphy early gained a reputation for being a chess prodigy. One night at age nine, Morphy beat a visiting General Winfield Scott in two quick games after the general asked his hosts to set him up with a strong local opponent. 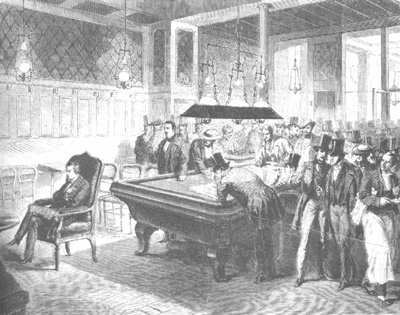 At age 12, Morphy had beaten a visiting Hungarian chess master, Johann Lowenthal. 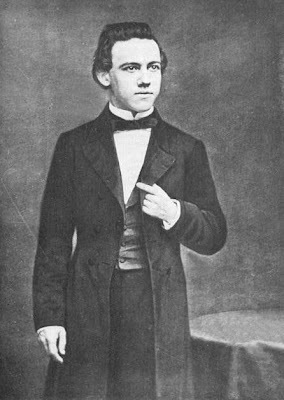 Morphy spent the next few years in serious schooling studying mathematics, philosophy and law. After earning multiple degrees, he was at age 19, still too young to practice law. So, to kill some time, he traveled first to New York and later touring Europe challenging and soundly defeating most recognized chess masters (or at least all those who were willing to play him). At a number of exhibitions, he would play blindfold chess with eight opponents at a time, winning most of those games as well. Morphy's fame grew and he was widely hailed at the time as the best player in the world. He was hosted by royalty and the famous everywhere he went. Having defeated nearly every highly regarded opponent who would dare play him, he began only playing by giving his opponents the advantage of pawn and move. Desiring to be regarded for the more serious pursuit of law, he announced at age 21 that he was retiring from chess play. He began a law practice, but the onset of the Civil War, coupled with his fame in chess damaged his legal practice. It seemed as though every client was only interested in discussing chess. His legal career stalled, he became frustrated and idle. He died of a stroke at the age of 47 after entering a cold bath on a hot day. Can you really die from a cold bath? Chess is a fascinating game. I am always intrigued by the people that choose it as a game to master. Henry Kissinger, in his new book On China, has an interesting comparison of the Western World's mastery of the game of chess versus the Eastern World's mastery of the game Go. Chess pieces have a hierarchy and the game is won by capturing the King. Go is a game of strategy using equally powerful pieces to develop and expand a more powerful force on the board.